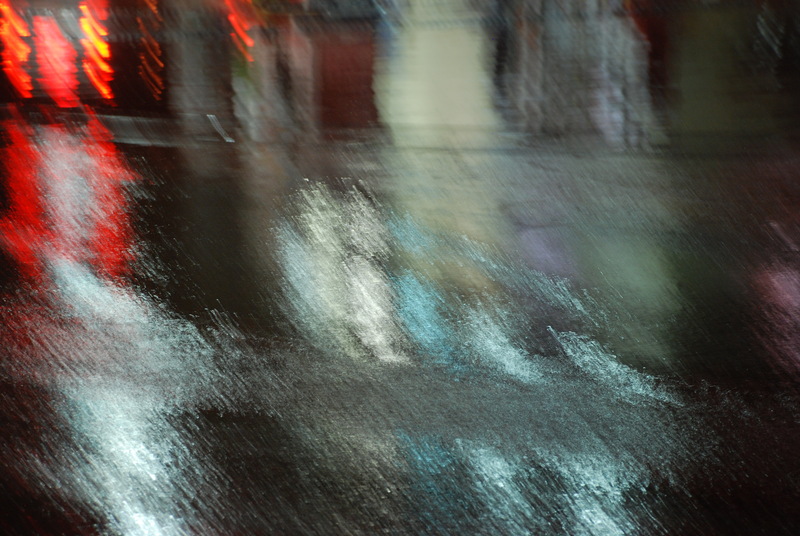 I love to see city lights reflected in rain puddles at night. It is so pretty–kind of mesmerizing. I snapped this night before last as we drove home from a Purim party. Record rainfall in Israel last week and this is really greening up the terrain. The place looks beautiful with the early spring flowers starting to bloom too. Oh how we have needed this rain. Follow the link for a televised report. Here are some very interesting stats on rainfall averages in Israel. love the abstract look of this shot. Off to check the links.